Overwatch’s Queen of Junkertown has truly come to life. Although we haven’t actually seen Overwatch’s Queen of Junkertown, we’ve heard plenty about her in the lore of everyone’s favorite hamster, Wrecking Ball. The Junker Queen is the leader of the Junkers, a cutthroat group of people who live in the Australian outback. 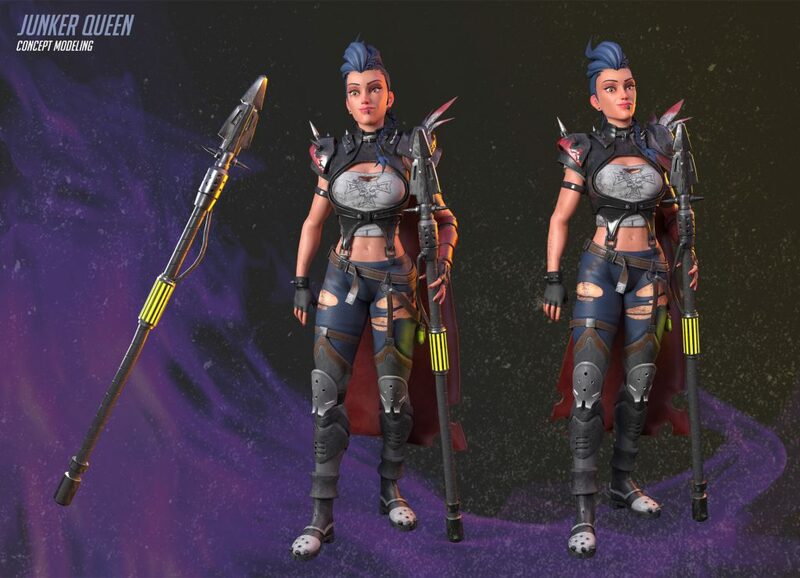 Thankfully, artist Gong Ill made an amazing 3D model of the character based on the few official images Blizzard has shared of her. 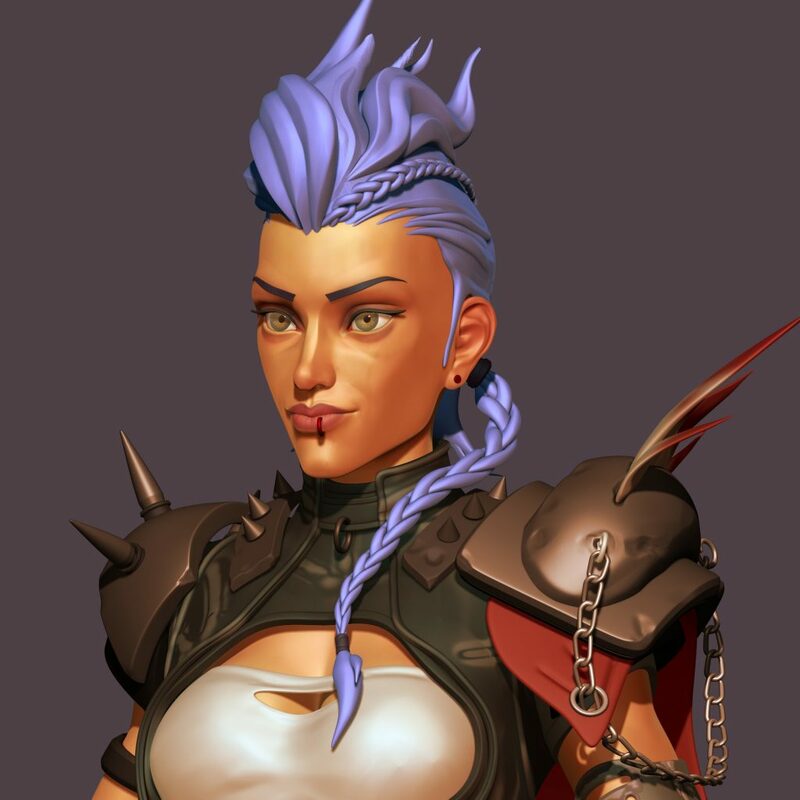 She sports blue hair with spiked armor, like in the various posters Blizzard has shown her in. 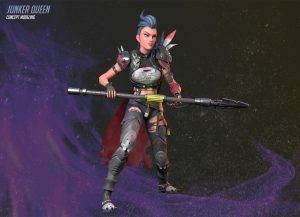 Her pants are ripped slightly and she’s armed with the spear that’s featured next to her throne on the Junkertown map. Many people actually thought that Wrecking Ball was going to be the release of the Junker Queen as a playable hero. If she were to join the Overwatch hero roster, this would probably be what she looked like. Gong Ill even provided a close-up of the character’s face—and the details are stunning. 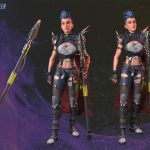 From the small braid running down the side of her head to the little chains connected to her shoulder pads, Gong Ill has truly made a work of art with this 3D render. 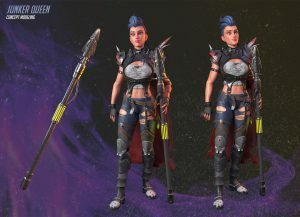 The only question now is whether she’ll ever make an appearance in-game. In the upcoming Storm Rising Archives PvE event, Doomfist’s omnic accountant Maximilien has been teased to be in-game, where he’s only been a background lore character up to this point. This could also mean that the Queen of Junkertown might make an appearance as a possible hero in the future.